We offer Power Tool- Blower UB1100.We deal in international standard Power Tools, which are made up of high quality raw material. The Power Tools offered by us are high in strength and give long performance. We offer a wide variety of Power Tools. We have a wide range of Power Tools, which are extensively used in various industries for various purposes. Hand Blower that we supply is widely in demand amongst buyers owing to their excellent functionality and easy usage. Procured from the trusted manufacturers or vendors, our Hand Blower is tested against various quality parameters to ensure zero defects at buyer’s end. Our Hand Blower is acknowledged for compact design, easy starting, smooth running and minimal periodic maintenance. 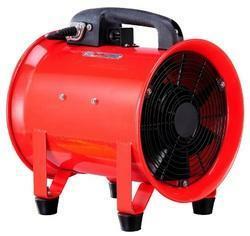 Hand Operated, Power Operated Heavy duty Motorized Air Blowers. This Blower Tank is made of ductile metal. It can tolerate high pressure. Easy to clean, offered tank is best in quality and light in weight. Easier to install due to perfect finishing and compact size, offered tanks are presented to patrons in numerous sizes. Additionally, these tanks are damage free in nature. We specialize to offer a wide array of limit load blowers, which is made using high grade raw materials in compliance with industry standards. Our rang is available in sisw and didw variants and widely known for strong and purify the air, thereby contributing in providing cleaner and more healthier air to breathe. We offer Air Blower, which are precision designed employing the latest technologies.